The aim of this study was to determine the presence of third molar germs in patients with Class II/2 and Class III malocclusions. 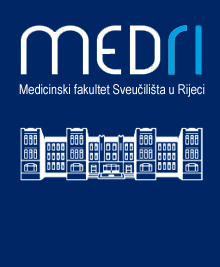 The study comprised 146 examinees from Zagreb and Istria. Examinees with Class II/2 malocclusions amounted to 77 and those with Class III 69. With regard to development of dentition the examinees were divided into two groups: Group I subjects with early mixed dentition (23 subjects with Class II/2 and 21 subjects with Class III), and Group II subjects with late mixed dentition (54 subjects with Class II/2 and 48 subjects with Class III). Assessments were made from panoramic radiographs and lateral cephalograms. The Pearson c2-test and Fisher’s exact test was used to determine statistical significance in differences. Assessments showed that third molar germs were present significantly more often in the upper jaw in Class II/2 (58% vs. 44%) and in the lower jaw in Class III (83% vs. 69%). In subjects with Class II/2 all third molar germs were present statistically more often in late mixed dentition, which was also determined for maxillary third molar germs in Class III. The presence of mandibular third molar germs in Class III examinees was almost equal in both periods of mixed dentitions. The study confirmed correlation between the presence of third molar germs and sagital maxillomandibular relationship and encourages investigation of the differences in calcifications of all permanent teeth in such malocclusions.